Tonight, The Infamous Mobb Deep will be taking the stage together for the first time in three years at New York City&apos;s Best Buy Theater (buy tickets here). Complex will definitely be in the building because who wouldn&apos;t love to see Prodigy and Havoc take the stage to perform all of their classic songs? 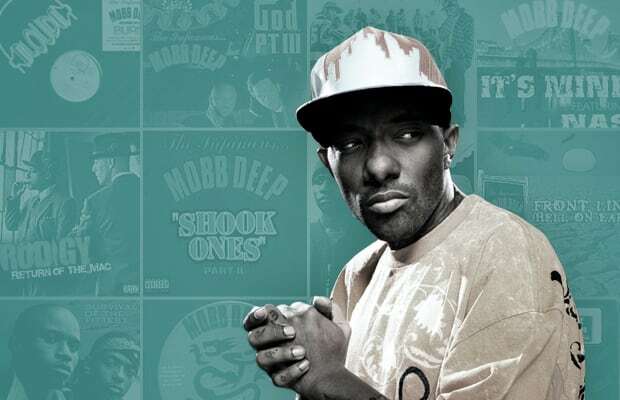 In honor of the show (and in addition to our epic The Making of Mobb Deep&apos;s The Infamous and all the other features we&apos;ve done with Prodigy lately) we got on the horn with P to discuss the making of his classic songs from all the Mobb albums, his solo work, and his guest appearances. Hear P explain how he and Hav are trendsetters, how he got $200,000 for an album he was gonna give away for free, and how Big Pun once pulled out over a dozen guns on him. Better yet, see P talk about how Jay-Z was scared of Death Row, how (contrary to popular belief) his verse on "Thun & Kicko" isn&apos;t actually about Nas, and how Game tried to recruit Mobb Deep to Black Wall Street when they were about to sign to G-Unit.